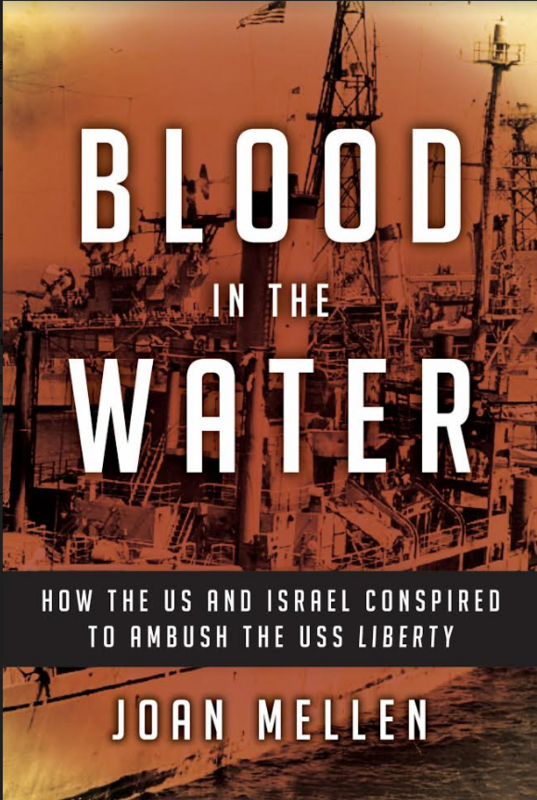 “Blood in the Water: How the US and Israel Conspired to Ambush the USS Liberty” details the USA-Israeli collusion of the attack on the USS LIBERTY during the Six-Day War and is the definitive work to end the over fifty-year long cover-up. In 2014 I was completing a book exposing dark truths about President Lyndon Johnson that had been suppressed by Johnson’s official biographers whose goal in recent years was to provide cover for an official whose actions not infrequently bordered on the criminal. One day I received an email from a fellow researcher who offered a challenging question: will you be including Johnson’s role in the attack on the USS Liberty? I had never heard of the USS Liberty. When I learned of the ambush of this unarmed USS Intelligence ship, and of Johnson’s role in planning it and then covering it up, I was at once committed to a course that resulted in a new book, “Blood in the Water,” whose subtitle is “How the US and Israel Conspired in the Ambush of the USS Liberty” devoted entirely to the events surrounding the LIBERTY. My goal was to discover who had planned the attack and what was their motive. Mellen’s “Blood In The Water” begins at the American Embassy in Tel Aviv, on the top floor presided over by the CIA chief of station John Hadden. Despite this American’s over eleven years of research regarding the USS Liberty cover-up, I had not been aware of the deep CIA connections beginning with John Hadden who Mellon ‘discovered’ when she uncovered a memorandum of a meeting between Hadden and Meir Amit, chief of Mossad, the Israeli intelligence services. One of Hadden’s mantras was “never trust anyone” and the chapter introducing the then chief of CIA counterintelligence, James Jesus Angelton titled “Treason At The Top” exemplifies WHY Hadden’s mantra is also a warning for today. By 1954, James Jesus Angelton was the only person authorized to talk to Israeli intelligence and he began helping Israel build its atomic bomb soon thereafter. “BLOOD IN THE WATER” proves one can speak and write honestly regarding Israel without being anti-Israel or anti-Semitic; and its release after the Brett Favre furor was right on time yet recalls Pogo from the 1960’s: We have seen the enemy and he is US!